Tamaqua Remembers – Lois Abromitis Mackin, Ph.D. Although I never lived there, Tamaqua, Pennsylvania, where my parents grew up, is very dear to me. Located in Schuylkill County in northeastern Pennsylvania, Tamaqua was a coal and railroad town. It was settled in 1799 by my ancestor Burkhardt Moser. Tamaqua has a historical society (of which one of my cousins is an officer), and there is lots of community interest in Tamaqua’s history and heritage. One of the latest manifestations of this interest is the Tamaqua Remembers project, founded to honor the 150th anniversary of Memorial Day in the borough. The organizers have created a series of events to engage community members, culminating in cemetery tour and parade in May. They have also created a website publicizing the project and memorializing Tamaqua’s 91 men who died in America’s wars, starting with the Civil War. Each of the war dead has a page including a mini-bio and images of newspaper articles and documents. The very thorough research for the memorials was conducted by two area residents. This article from the Lehighton Times-News describes their research process. I was privileged to contribute a few additional pieces of information several memorials, including this one for Thomas Charles Rowlands, one of my parents’ high school classmates. Another memorial that I have a connection to is this one for my father’s cousin Eugene Gregory Conagiskie. 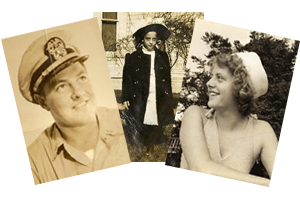 There is also a Veteran Tribute page honoring family members or friends who served. I hope other communities take on similar projects. What an opportunity for the genealogical community!